After 110 National League matches refereed, numerous run outs with a flag, and the occasional Number 4 & 5 appointments, I have advised the RFU Referee management team of my intention to step down from the National Panel of Referees in the New Year. I’ve recently moved jobs meaning a commute into London every day. The job is fantastic, but means I’m out before dawn and back in the evening so I only see my two boys for 20 mins or so each day as they go to bed. To then spend all day Saturday on the road as well isn’t fair on them, and frankly, they are the most important things to me and I don’t want to miss out on any more than I absolutely have to. That schedule also leaves little room for the necessary training that we have to put in to maintain our fitness in the professional game. I’ve thoroughly enjoyed my 7 seasons as a National Panel Referee. It’s been an honour and privilege to be able to play a part in our great game at that level. I’ve achieved more than I ever thought I would and that is due to the support Ive had from so many people. Some people Id like to pick out – Dickie Weaver, Jim Marr, David Sainsbury and Jerry Wallis are 4 names you wont have heard of. They’ve been my coaches during my time on the Panel, giving me weekly counsel and advice on all sorts of things both match, referee and work related. All have helped me no end and a huge amount of credit goes to them. If anyone had said I would have got to the great heights of refereeing 1 v 2 in the RFU Championship a few seasons ago, I wouldn’t have believed them, but these 4 people believed in me and pushed me to get there. Other unsung heroes of the RFU refereeing world – Bobbie Haynes and Mel Liley, the former, and current Refs Dept administrators who really do make sure we all know where we going, who we’ll be with, what kit we should have, our comms kit all in order, pay the expenses and make sure we get our match videos. No enviable task! Often thankless, but hugely appreciated by us all. Steve Leyshon, Steve Savage and Prof Dr “Blue” Mellick have all been great through the years too. I have always remember the support that I had from my various Societies as I moved up through the ranks. 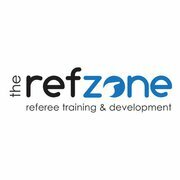 I spent time in Manchester & District, East Midlands, London and latterly Hampshire Referees’ societies and they all invest in you as you go, something I have never forgotten. I’ll be staying in the game, occasionally doing games down here, and continuing to give back in my role as Training Officer for Hampshire. Itself an honour. It can be a lonely world as a match official – no team huddle, no bus drinking or poker on those Saturday night treks home, no training together etc, so a big thank you is owed to my colleagues past and present on the Panel. They put in the solitary miles, the dedication and commitment to the game. I’ve lost count of the conversations Ive had too and from matches, keeping an eye on each other, picking us up when we’re down, geeing up, reminding of the realities of the world. Great to have that team ethic around us and one I hope never dies away from our game. Cheers guys. And my final thank you (not that she reads this (maybe..)) is to Mrs R. She’s been forever forgiving in me being absent for 6 days a week, often more in the early days. Never complaining or questioning why I was going to Doncaster, or Exeter, or Launceston, or Fylde etc pushing me out of the door to train, and being there to explain it all to whenever it was I got back home. She’s been fab, so now, after 12 years together, it’s time we had normal weekends as a family. She deserves that. And I think I deserve it too. So, I have 4 more games to go – 2 this side of Christmas and then a swansong on the line in the Championship followed by my final game – and one of my choosing – Canterbury v Worthing. Two sides I’ve spent a lot of time with over the years both when I was coming through London 1 and has been great to see them regularly over the years in the National Leagues. They have some amazing people associated with them and I think ending my Panel career surrounded by rugby friends will make it a fitting finale. This doesn’t mean the end of this blog – it may change over time, and may mean I can watch a little more TV rugby and interact more with you readers and Twitter followers about that sort of thing.